How they work, red flags, and scam prevention. If you respond to the fake ad, the scammer may invite you to drive by the property to view the exterior. What they will not do is give you a tour of the interior. That’s because they are “on vacation” or otherwise unavailable to show the place. 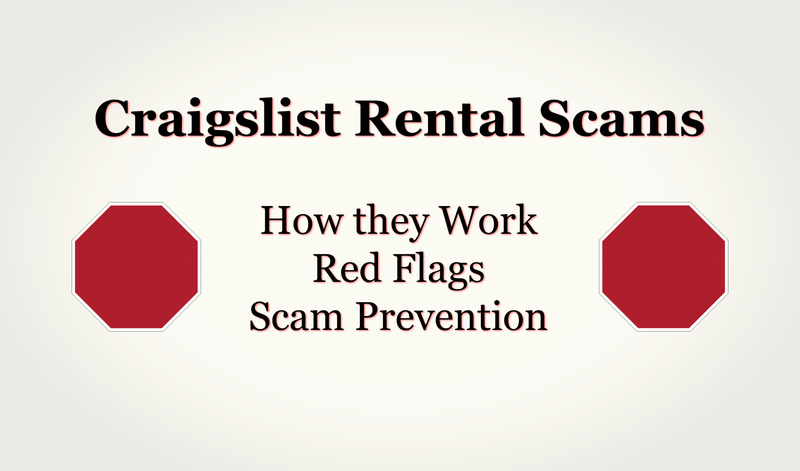 If you decide to move forward, the con artist will ask you to wire the first month’s rent and a security deposit via Western Union, PayPal or even iTunes. Once that happens, kiss your money goodbye. Some victims don’t even realize they’ve been conned until they show up with a moving van and discover that someone else is already living in the unit. You don’t get a tour of the unit’s interior by the landlord, broker or building manager. The “owner” insists on payment in advance and wants the funds sent by wire transfer. A dead giveaway is when listing photos have MLS watermarks. This indicates that whoever posted the ad doesn’t have the original photos and, therefore, probably doesn’t own the property. Perform a reverse image scan of the photos. You can right-click the images and select “Search Google for image” to see if the pictures have been used elsewhere. Legitimate landlords will arrange a tour of the interior. And they will usually accept a personal check, cashier’s check or money order for the first month’s rent and security. Never send advanced payment! Money shouldn’t change hands until a lease is signed.